The leading independent specialist for windscreen replacement and windscreen repair based in Bath and serving all of the Bath area. National Windscreens Bath fitting centre provides windscreen replacement and windscreen repair services to businesses and individuals throughout Bath and the Bath area. 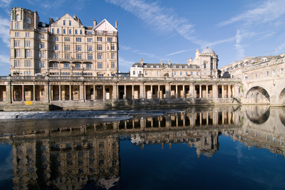 The City of Bath is situated at the bottom of the Avon Valley, and near the southern edge of the Cotswolds. A range of limestone hills designate the area as one of outstanding natural beauty. As a result of a variety of theatres, museums, and other cultural and sporting venues the city has more than 3 million visitors annually. The city is ideally placed on the A4 and A36, 11 miles to the south east of Bristol. London is accessed from the M4, which is 10 miles north of Bath. The Bath windscreen fitting centre and its mobile vehicle glass technicians service the needs of Bath and the surrounding area including Midsomer Norton, Peasedown St. John, Radstock and Combe Down. With 108 fitting centres and over 800 mobile technicians, National Windscreens operates the UK's largest windscreen repair and windscreen replacement network. The company provides low cost, high quality windscreen replacement and windscreen repair from its Bath fitting centre 24 hours a day, 7 days a week, 365 days a year. Repair and replacement of all types of vehicle glass including windscreens, rear windows and side windows is undertaken throughout Bath and all of the Bath area.